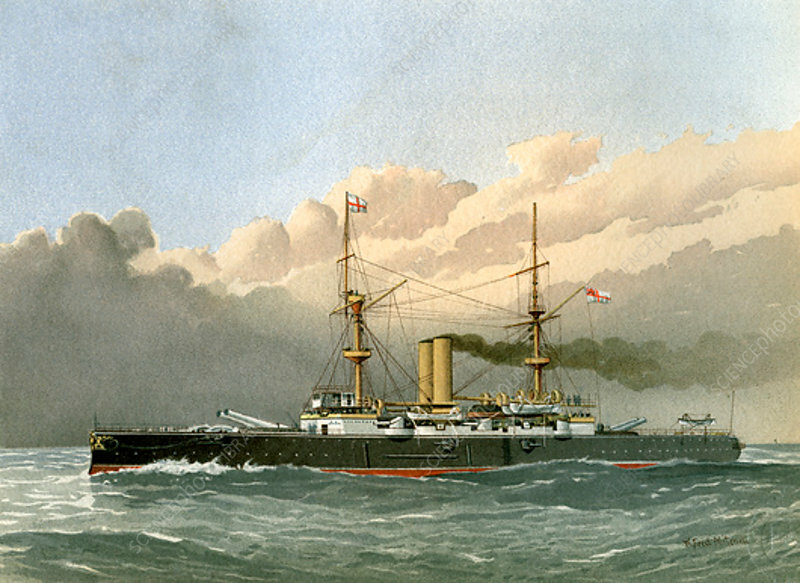 HMS 'Royal Sovereign', Royal Navy 1st class battleship, c1890-c1893. When she was launched in 1891, the battleship 'Royal Sovereign' was the largest warship afloat. Eight ships of the 'Royal Sovereign' class were built. A print from Her Majesty's Navy Including its Deeds and Battles, by Lieut Chas Rathbone Low, Volume III, JS Virtue and Co, London, 1890-1893.